To support the creation of a Science, Technology, Engineering, and Mathematics (STEM) based academy, Walton Middle School opened the doors of its new Hewlett Packard (HP) STEM Computer Exploration Laboratory, Wednesday, October 30. 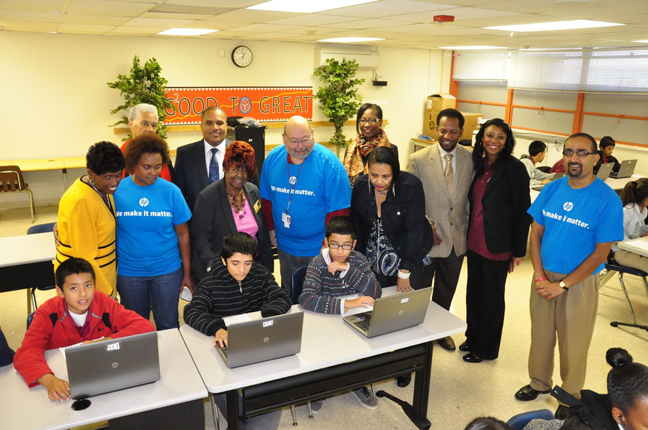 Through its partnership with HP’s “Adopt a School” pilot program and nonprofit SEED Foundation, the Compton Unified School District (CUSD) middle school’s computer lab received 22 new HP laptop computers and large flat screen monitor for interactive instruction. Over 30 additional laptops will arrive before the year’s end. Additionally, HP and SEED Foundation will continue to upgrade the school’s technology according to need, in the years to come. Grand opening festivities featured students marching around their school with banners thanking HP for their donation, a special assembly, and a ribbon-cutting ceremony. Special guests included CUSD Board of Trustees Vice-President Margie Garrett; Board Clerk Satra Zurita, Legislative Representative Skyy D. Fisher; Board Members Marjorie Shipp and Mae Thomas; Superintendent Darin Brawley; Walton Principal Rose Marie Hickman; SEED Foundation Repre­sentative Sharon Seymore; and HP representatives including Global Re­siliency Manager and Consultant Carol Earley; George Pimentel, team lead and customer engineer; and Alex Bravo, PPS ambassador and HP field tech. 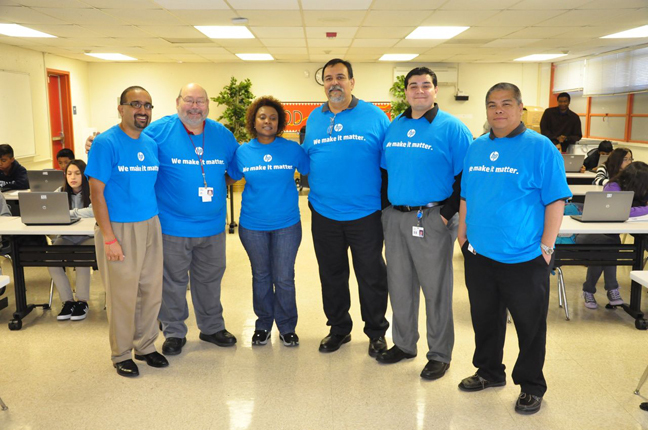 Board of Trustees Vice-President Garrett praised HP for supplying Walton with new laptops. 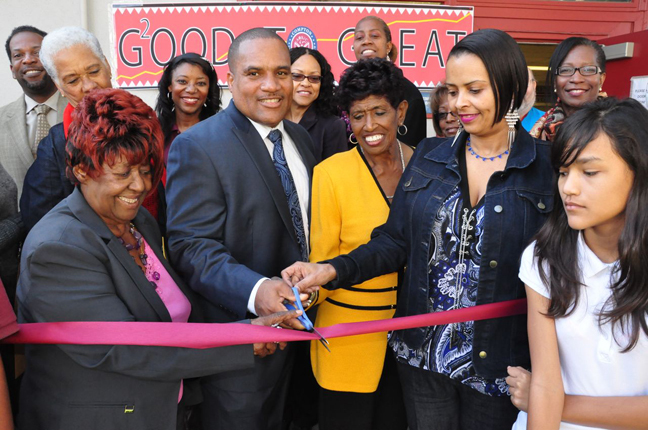 Superintendent Darin Brawley expressed the District’s gratitude for their partners’ support in creating the new computer lab. “I want to thank the HP family and Sharon Seymore. This is a tremendous step forward as it pertains to our vision for moving our schools forward,” he said. SEED Foundation’s Sharon Seymore said she was inspired to reach out to HP’s Carol Earley after discussing Walton’s STEM Academy plans with Superintendent Brawley. “I thought what a wonderful opportunity to really invest in lives like yours,” she said to Walton’s students.